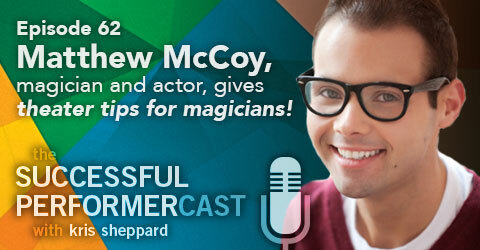 Matthew McCoy gives some great theatrical advice for magicians in some practical steps you can take to improve your act! Matthew is a theater actor, director, choreographer, and producer up in the Bay Area of Northern California. He’s the founder of BAM!, or Bay Area Musicals and currently serves as Artistic Director. Holding a Bachelor of Fine Arts in Musical Theatre he’s acted professionally in countless productions like The Wiz, Guys & Dolls, The Sound of Music, Chicago, and Hairspray. He’s also choreographed and directed such shows as Cinderella, The Music Man, Dracula, and Mary Poppins. This is just naming a few. Finally, he has an extensive background and knowledge of magic which has made him a sought after asset to direct new magical theater projects in the United States and around the world. 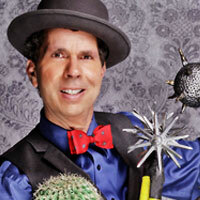 In this interview, Dan Holzman and I talk about his ups and downs in his juggling career. We cover some great topics like how to find creativity, the power of positive thought, and exercising your comedy! 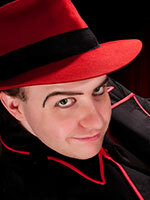 Dan Holzman is a comedy juggler who’s juggled with the Raspyni Brothers as well as a solo performer. He’s opened for the likes of Robin Williams, Dana Carvey, and George Burns. He’s appeared on countless TV shows including The Tonight Show with both Johnny Carson and Jay Leno, Entertainment Tonight, and the Howie Mandel Show. He’s also performed for top name corporate clients including IBM, Kraft Foods, McDonald’s, Macy’s, and Sears.